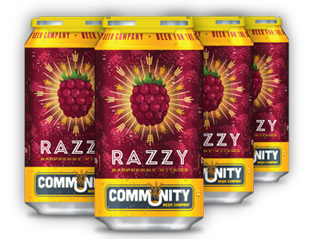 In this week’s episode, the Six Pack team popped open a pack of Razzy Raspberry Witbier by the Community Beer Company in Dallas, Texas. Boy was this beer tart. You would expect as much from a beer infused with raspberry, but it was strange nonetheless. Instead of tasting the tartness with the beer, it seemed to primarily be part of the aftertaste. It was nice to see Community Beer thinking outside the box, but it would seem this brew needs a little more refinement. This go around it was a surprising disappointment.